Brendan Clarke, Ger O’Brien, Ian Bermingham, Conor Kenna, Kenny Browne, Greg Bolger (sent-off 78), Conan Byrne, Shane McFaul (Christopher Forrester 39), Daryl Kavanagh, Christy Fagan (Anto Flood 82), Killian Brennan (John Russell 23). Barry Murphy, Pat Sullivan (sent-off 84), Jason McGuinness, Ken Oman, Conor Powell, Ronan Finn (Karl Sheppard 66), Richie Ryan, Shane Robinson, Gary McCabe (Conor McCormack 86), Billy Denney (Sean O‘Connor 92), Thomas Stewart. 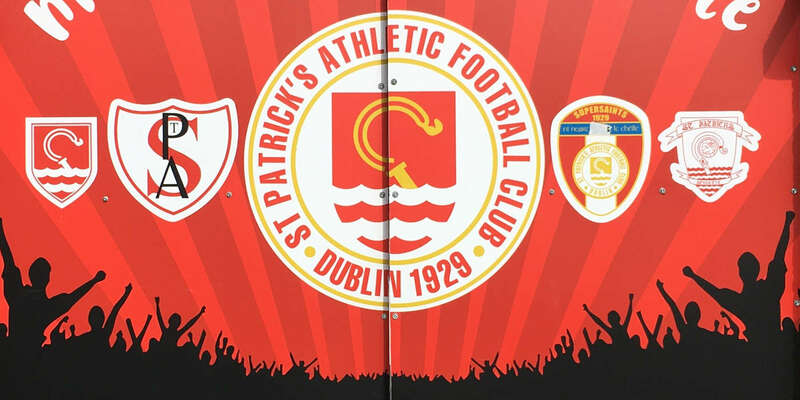 Shamrock Rovers beat St Patrick's Athletic 2-0 to advance to the semi-finals of the FAI Ford Cup, with both sides reduced to ten men in a bad-tempered affair at Richmond Park. The match opened in typical cup-tie fashion with both sides playing at a frantic pace, and there were early suggestions that the game might not finish with a full complement of players on the field, the referee seeing fit to issue two cautions inside twelve minutes. Rovers opened the scoring in the 16th minute through Ronan Finn. The midfielder rose highest in the box to get on to a Conor Powell cross from the left and guide a header into the top corner past Brendan Clarke. St Pat's could have equalised moments later. Daryl Kavanagh ran at the Rovers defence, got inside the box and made Barry Murphy make an excellent save low to his right. 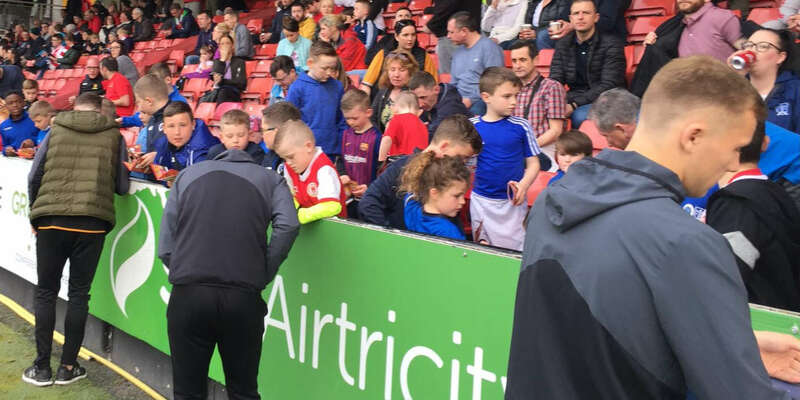 Liam Buckley was forced into the first of two first-half substitutions on 23 minutes when Killian Brennan went down injured while attempting to gain possession in the middle of the park. Half chances for Christy Fagan for St Pat's and Gary McCabe for Rovers came and went before Billy Dennehy's 31st-minute cross from the left found Finn, whose shot was superbly saved by Clarke. Rovers doubled their lead two minutes later, again the danger coming from a Dennehy cross from the left, this time from a free-kick. Dennehy's ball over eventually broke to Shane Robinson and his spectacular overhead effort found the back of the net. The Saints manager must have begun to feel it wasn't going to be his night when Shane McFaul was forced to hobble off injured after 39 minutes following a heavy challenge in midfield. The second half was just seven minutes old when things threatened to boil over. Nineteen players got involved in a heated exchange in the St Pat's half, but the incident resulted only in yellow cards for Finn and Kenny Browne. 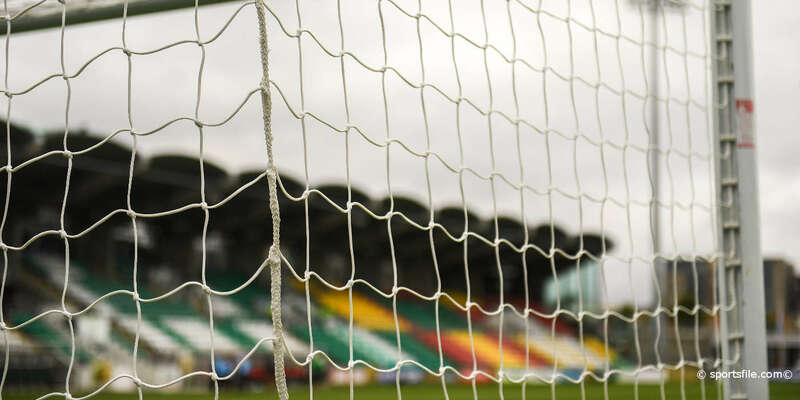 Murphy made two excellent saves in the 55th and 64th minute from Ger O'Brien and Kavanagh to keep the away side ahead before McCabe's dipping effort from 25 yards at the other end was tipped over by Clarke. The inevitable finally happened in the 78th minute when the referee finally reached for his red card to send Ger Bolger off, a straight red for a bad tackle, which led to another bad-tempered exchange inside the Saints half. Six minutes from time, Rovers' Pat Sullivan also saw red after receiving a second yellow for a foul on the halfway line. So St Pat's long wait for FAI Cup success continues for another year as Rovers advance to the semi-finals.